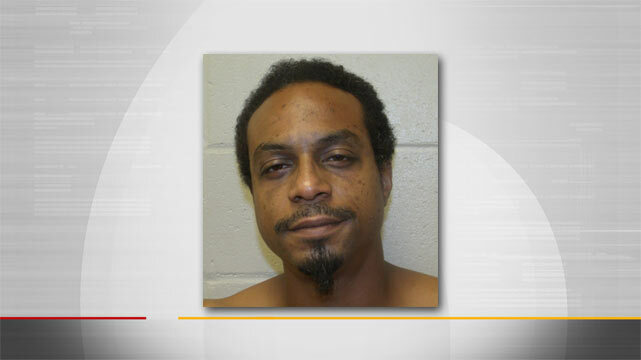 BARTLESVILLE, Okla. - Authorities in Bartlesville, Okla. say a man has been arrested for the deaths of his wife and stepson. Police Capt. Jay Hastings says officers responding to a disturbance call late Wednesday discovered 23-year-old Charles Edward Lee dead in the front yard of a home. Authorities also found 41-year-old Crystal Sue Adair inside the home suffering from apparent stab wounds, while her 15-year-old daughter was injured. Hastings says Adair was pronounced dead at a Bartlesville hospital, while the teenager was airlifted to a Tulsa hospital, about 45 miles away. Authorities say they've arrested Adair's husband, 35-year-old Steven Lee Adair, on two complaints of first-degree murder and one complaint of aggravated assault and battery with a weapon. Police say he's the stepfather of the slain Lee and the 15-year-old.